"[...] lol [...] p @""
Cirno will be all red faced too: "I'm so happy... Reimu... me too... want to see you..." What was that so cute [...] lol [...] p @""
...yesterday, was what I said too much? ...maybe I should go visit her sometimes. ...since Cirno may say something like: "Reimu is coming to me, she must be playing some tricks!" 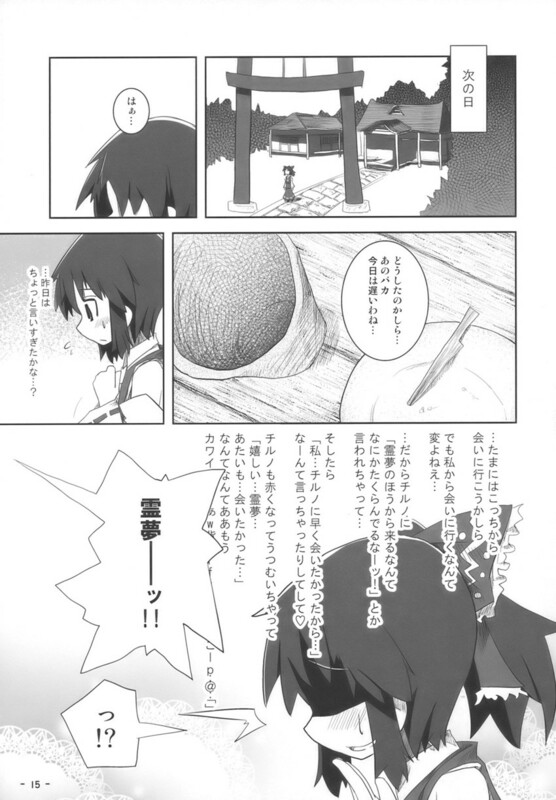 And then: "I... want to see Cirno sooner..." saying what I am feeling.